Custom hand carved and crafted redwood and cedar signs. Custom hand carved signs finished in gold leaf. Our 3 dimensional signs can be fabricated from metal, plastic with gold leaf. Specializing in custom carved and sandblasted signs for farms, churches, ranches, houses, and businesses of all kinds. 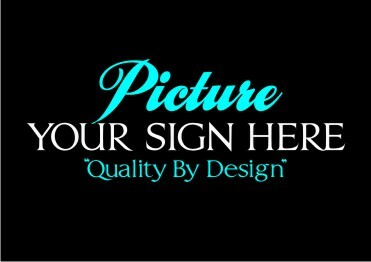 From quality subdivision entrance signs. From traditional signs to classic signs and dimensional signs, our carved sandblasted wood signs offer an elegant look of hand carved and sandblasted signs. Our gold leaf signs will add that touch of class to your office, home, or even your city or town hall. Based in Zephyrhills, in Pasco County, Florida, just north of the Tampa, St. Petersburg area, and just south of Ocala and Gainesville, and west of Orlando, Daytona and Jacksonville, we will provide personal on site service for all your sign projects. Through our affiliation with Goinâ€™ Postal we can ship your customized carved sign anywhere in the US from Miami to Seattle from New York to Los Angeles for installation by your local contractor.